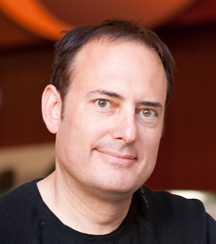 Fortune had an interview with OnLive Founder and CEO Steve Perlman. He told them that Sony's purchase of Gaikai has validated cloud gaming as a viable form of gaming and that it promises the future of gaming. OnLive is still the only real cloud gaming system; they've got millions of users; they're selling games and you can play for hours on end, with multiplayer spectating and so on. So they have a fully implemented game system, and then they add new things that no one's had, like how these games work on mobile, massive spectating, the social features, etc. Steve was amused when he was asked what he thought of the Microsoft acquisition rumors on OnLive, especially the leaked Xbox 720 roadmap that put OnLive as a threat and an acquisition target. He said that OnLive is now the only non-captive technology at cloud gaming, after Gaikai was purchased by Sony. Before, they were the only one that had a product that people could buy games and play full games. Now, they're the only player out there. He pointed out that OnLive isn't just an interesting thought experiment, but real technology. He confirmed that every kind of acquisition of every sort has been put on the table, and because of various factors, very often the acquisitions turn into investments, because OnLive's suitors are not quite sure what to do with them. When asked if he would be interested to selling off to Microsoft, Sony or Nintendo, Steve said that it depends on what makes sense for OnLive, for their investors and employees. He put more emphasis on the motivation and vision of people that is driving companies to develop great products like Apple is doing. To keep incentives in place for people that are doing something which is truly groundbreaking is a very complex equation. Steve also talked about how OnLive is spreading to various devices like media streamers, Blu-ray players, Smart TVs and Google TV. Apart from the OnLive Game System, OnLive will also be available on the $99 VIZIO Co-Star and on LG Smart TVs, and of course on other Smart TVs via the OnLive App on Google TV. This will greatly increase the reach of OnLive. OnLive is also very popular on Android mobile devices like the Sony Xperia PLAY thanks to their OnLive App on Google Play. OnLive also works on set-top boxes like the AT&T U-verse set-top box. Steve said that because OnLive is built into Google TV, it's ironic that Sony is included, but they're unlikely to announce that. They have a little different agenda. They're gently coming into this space, and they obviously have to be mindful of protecting their console. From Sony's point of view, if it really is the case that you can stream an experience through television that is comparable to that of a console, then, the question is why do you need a console? Why do you need a particular consumer electronics maker to be the only way that you can get games? Finally Steve spoke about the OnLive App for iOS and why it's not yet out on iOS devices. He said that he can't answer why Apple still hasn't approved the OnLive App for iOS after being in Apple's approval limbo for more than 8 months, as he himself doesn't know the answer. 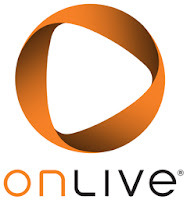 OnLive has negotiated and spoken extensively with Apple, but Apple still hasn't approved them with no reason given by Apple why it is that way. He said that every platform you try to move into has challenges that you've got to deal with. Apple has their standards they're trying to maintain, they have their point of view. Ultimately OnLive has to go and work within that framework. They're doing the best they can. Steve said that Apple approved other OnLive Apps like the OnLive Viewer and OnLive Desktop. He said that it's very complicated, and the best you can do if you're walking into the world with something that's brand-new, is be patient and make headway where you can make headway, and stick around and wait if you can't. Steve hopes that the OnLive App for iOS will be approved by Apple. OnLive is trying their best and it's the world we live in. He finished with an amusing comparison that sometimes The Beatles don't approve Apple, sometimes Apple doesn't approve somebody else. You hope that eventually you get over the hump.